Nothing keeps your car safe and maximizes its performance on the road like the right set of tires. From flats and fixes to new and used tire sales, you can count on us to give you the tires you need to optimize the way your car performs on the road. Plus, with our low prices, you can keep your car or truck sitting on a great set of tires without emptying your wallet. 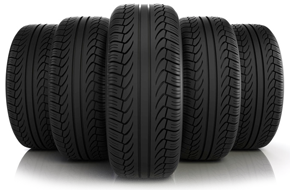 For expert tire services and sales, give us a call or visit our shop today. Does your car ride on low profile tires? Great news - that's our specialty! Bring your low profile tire repairs to us and we'll take care of them with ease. Tire Sales and Service - New and used tires, computer spin balancing, tire repair, and more. Take care of your tires at Bill's Tire Sales. Call 856-227-6166 or visit us at 617 Black Horse Pike & Franklin Ave in Blackwood, NJ. The Lowest Flat Tire Repair Anywhere!